A while back in the Your Next Shift Facebook community, a nurse shared her weekly goal. She said that when she started in on her next nursing schedule, she would begin to cut back on her hours at work. I challenged this nurse by asking what was one action step she could take THIS week to move her closer to reaching her goal of self-care. 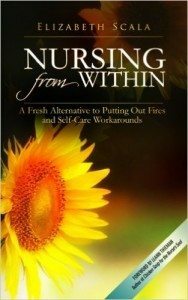 Watch this video to learn how to have success both in your nursing career and your own self-care. Here’s to healthy nurse success! What would you add to this video’s tip? How do you ensure that you set and reach goals with success? Share a comment below. And thanks for watching! Thank you, Elizabeth, for this wonderful advice. I wish I had had this advice years ago. Am now limited in nursing due to back injury and denied disability 3 times. My specialty was as an OR RN. Am still very active in my professional organization and coordinating yearly seminars with national speakers. I keep applying for jobs, have few interviews. With my skills, knowledge, and leadership training, I don’t know what is holding me back from a job.